Rata Vine flowers (Metrosideros carminea), Crimson rata, Carmine rata. Myrtaceae. 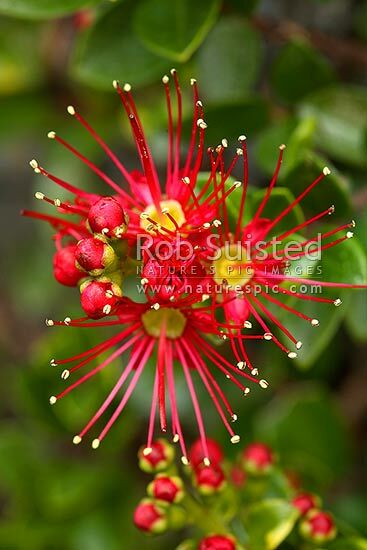 Native plant, New Zealand (NZ), stock photo.